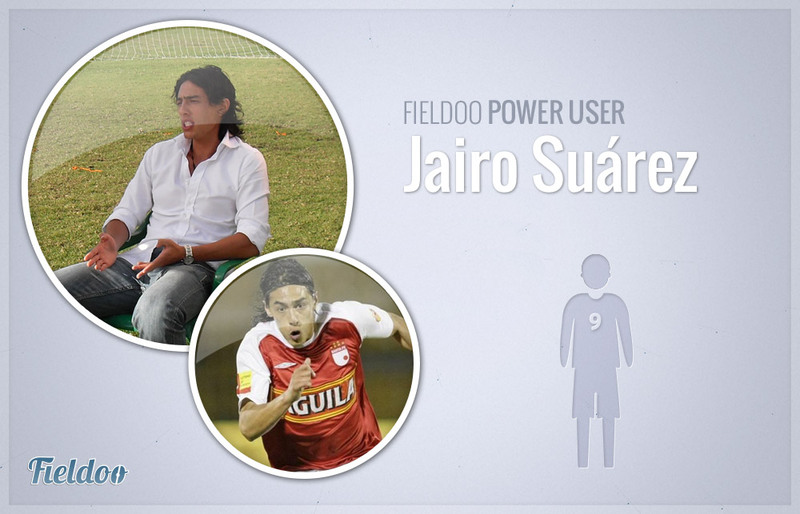 We are pleased to introduce a Colombian footballer and Fieldoo power user Jairo Suarez. His market value is estimated at 400,000 €. Jairo plays as a defender and has been capped several times with the youth (U-17, U-20) and absolute national team of Colombia. He dreams of playing in Europe. Happy reading! As a player I consider myself a player moulded by my profession, persevering, concerned about improving every day, because I think self-criticism is the only way to reach perfection. In football, I am a physically fit player, technically gifted and I read the game intelligently. Football, because when I was very young my father took me to the soccer school in Santa Fe, in principle because by playing sports I would obviously stay away from the dangers of the street. But as time went on, I was enjoying it more and more and dreamed of becoming a professional player, so from an early age I knew I wanted to dedicate my professional life to football. My start in football, as I said before, was at school in Santa Fe, there I did all the lower divisions to reach the first team. Your entire career you’ve been playing in Colombia. How would you describe the Colombian league (Liga Postobon)? Yes, since I made my debut as a professional in 2002 I played in clubs and have had some experience in Colombian international equity teams and the national team. The Colombian league seems to me a very competitive league, with good players, a tournament in which every day new talents appear with many conditions and not as, if you look at it from a different perspective, our ambassadors abroad and doing things in a way so that you look at the Colombian soccer with respect. In your Facebook page you say that you have a clear goal: To play in Europe. Where would you like to play in Europe? My dream is to play in Europe for sure. I always wanted to play in Italy or Spain, I know I can achieve this and that is why I am preparing every day, for when God puts this blessing on my path, so that I can live up to this challenge. I had a couple of deals in the making before the injury in 2008 but they did not go through, and now I am currently on the lookout for something new. You also played in the national team of Columbia (U-19, U-20) and also added 3 absolute national team appearances. What does it mean to you, playing for your country? Which Colombian player is the best for you? Playing in the national selection is the greatest feeling of pride that any player can have. Representing your own country is something that not everyone has the opportunity to do, so for this reason whenever I defended the colours of my country I did it with all of the professionalism I have and with all my heart. Thank God I had the opportunity to be on a team with players who scored a lot. The story is that we were the (under 20) South American champions in 2005, and now are making a presence in world football. Definitely now, Falcao is making a history in the country, as he has achieved what no other player has done till today. He is also a wonderful person, so for this reason I mentioned him separately. 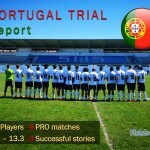 Fieldoo.com is Football Career Network for players & agents. Fieldoo is growing rapidly and has accounts with players from 80+ countries. What do you think about the idea? It seems an extraordinary idea for the whole world as globalization forces you to stay updated and nowadays all social networks are responsible for this. 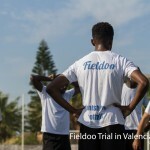 Fieldoo is something new and of great benefit to all who are dedicated to football; personally I know no other network like this, so I think it is a fabulous idea. Last question: who would your pick; Leo Messi or Cristiano Ronaldo? No doubt both are great players but I’ll definitely pick Leo, because he has made history worldwide and also for all of his achievements despite the difficulties he had in his childhood.